The extensive research, teaching and service activities of Dr. Matthias Ruth are all motivated by the belief that an understanding of complex environmental issues requires integration of insights from the engineering, natural, social and health sciences as well as active dialog across the science-society divide. A pioneer in the field of ecological economics and industrial ecology, Dr. Ruth combines his interdisciplinary background in economics, geography, engineering, and biology to conduct basic and applied research on non-renewable and renewable resource use, industrial and infrastructure systems analysis, and environmental economics and policy. Much of that research is informed by active collaboration with decision makers - all in an effort to contribute to society's handling of complex environmental challenges, and with the goal of advancing research methods and tools in the process. Dr. Ruth holds the Roy F. Weston Chair in Natural Economics at the School of Public Policy, University of Maryland and is the Founding Director of the Center for Integrative Environmental Research at the Division of Research, University of Maryland. He teaches - nationally and internationally - courses and seminars on microeconomics and policy analysis, ecological economics, industrial ecology and dynamic modeling at the undergraduate, graduate and Ph.D. levels, and has also conducted short courses for decision makers in industry and policy. Professor Ruth is the co-author of five books on dynamic modeling and the author of over 100 reports, book chapters and articles in peer-reviewed journals. His book entitled "Integrating Economics, Ecology and Thermodynamics" (published in 1993 by Kluwer Academic Publishers) is widely considered a milestone in the development of Ecological Economics and in Industrial Ecology. 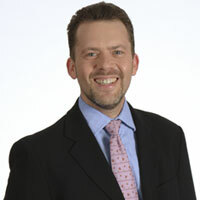 He has recently edited volumes on Regional Climate Change and Variability and Smart Growth and Climate Change (both released in 2006 by Edward Elgar Publishing) with analyses of climate impacts and adaptation options at scales relevant to managers of natural resources and infrastructures. Also recently published are two volumes on industrial ecosystem analysis - "Changing Stocks, Flows, and Behaviors in Industrial Ecosystems" and "The Dynamics of Regions and Networks in Industrial Ecosystems" - and a volume on "Distributional Impacts of Climate Change: Social and Economic Implications." Much like his earlier books, these recent volumes and other peer-reviewed studies combine cutting edge methods from the natural and engineering sciences with concepts and insights from economics and policy, thus opening new research avenues as well as stimulating dialog about sound investment and policy making. Three recent, large-scale projects illustrate the integrative nature of Dr. Ruth's research. The first major assessment of the short and longer-term consequences of climate change on metropolitan infrastructure in the US was achieved through Dr. Ruth's work as Co-Principal Investigator on the "Climate's Long-term Impacts on Metro Boston," (CLIMB) project. CLIMB engaged more than 100 stakeholders through a collaboration with Tufts University, Boston University, the University of Maryland and the Metropolitan Area Planning Council. The project was funded by the US EPA under its STAR ("Science to Achieve Results") Grant Program. Follow-up projects investigated the impacts of gradual climate changes on the infrastructure systems and services of the cities of Hamilton and Wellington in New Zealand. Through the Mauritius Environmental Resource Management and Industrial Development (MERMAID) project with the University of Mauritius, Mauritius Research Council and National Geographic Society, Dr. Ruth developed a collaborative research and education program to advance the science of natural resources and resource use and to contribute to sustainable resource use in Maritius. This helped the island country to position itself as a leader in resolving conflicts between economic growth and sustainable use of unique natural resources. Recent funded research projects span the full spectrum from local and international analyses of resource use, energy supply and climate mitigation and adaptation, to the identification of strategies that meet investment and policy needs. The various research activities of Dr. Ruth are complemented by his teaching and institution building. The Engineering and Public Policy Program, which he co-founded with a colleague in engineering and for which he serves as Co-Director, trains top students and experienced professionals to address the critical issues at the interface of engineering analysis and policy making. The Joint Program in Conservation Biology, Sustainable Development and Public Policy, which he initiated and for which he serves as Co-Director, engages students from the life sciences to understand and address practical issues of conservation and sustainability. The Center for Integrative Environmental Research, which he founded as a unit spanning all colleges and schools at the University of Maryland, is exclusively dedicated to integrative research initiatives. Dr. Ruth's other affiliations at the University of Maryland include Professor in the Marine Estuarine Environmental Science Graduate Program, Affiliate Professor at the Department of Civil and Environmental Engineering, and Affiliate Professor at the National Center for Smart Growth Research and Education. In 2004, he was Visiting Professor with the Departamento de Biologia, Universidad de Puerto Rico, San Juan, Puerto Rico. In 2005, he was Visiting Professor with Landcare Research and the Centre for Ecological Economics, Massay University, Palmerston North, New Zealand. Since 2006 he holds a Visiting Professor appointment at the College of Engineering at the University of Bremen, Germany. Previously, at Boston University, he served as Associate Professor in the Department of Geography, the Center for Energy and Environmental Studies, and the Center for Transportation Studies. Professor Ruth, a German National Scholarship Foundation Fellow, also held positions in the International Environment and Resource Policy Program, Fletcher School of Law and Diplomacy, and the Tufts Institute of the Environment at Tufts University. Dr. Ruth serves on the editorial boards of, among others, the Journal of Industrial Ecology, Environmental Economics, the International Journal of Ecodynamics, the Journal of Environmental Management, Environmental Innovation and Societal Transitions, International Regional Science Review, International Journal of Design & Nature, and Ecodynamics, and as Book Series Editor for Modeling Dynamic Systems. He is a member of the Intergovernmental Panel on Climate Change (IPCC), advisor to the International Council of Local Environmental Initiatives (ICLEI), and serves as a special advisor to the European Commission. At the University of Maryland, Dr. Ruth is a founding member of the Sustainability Council for the College Park Campus and serves as the policy advisor on sustainability to the Chancellor of the University of Maryland System, which comprises the State's twelve universities and colleges. Dr. Ruth holds a Ph.D. in Geography from the University of Illinois, Urbana-Champaign, USA, and a MA in Economics from the Ruprecht-Karls-Universität Heidelberg, Federal Republic of Germany.